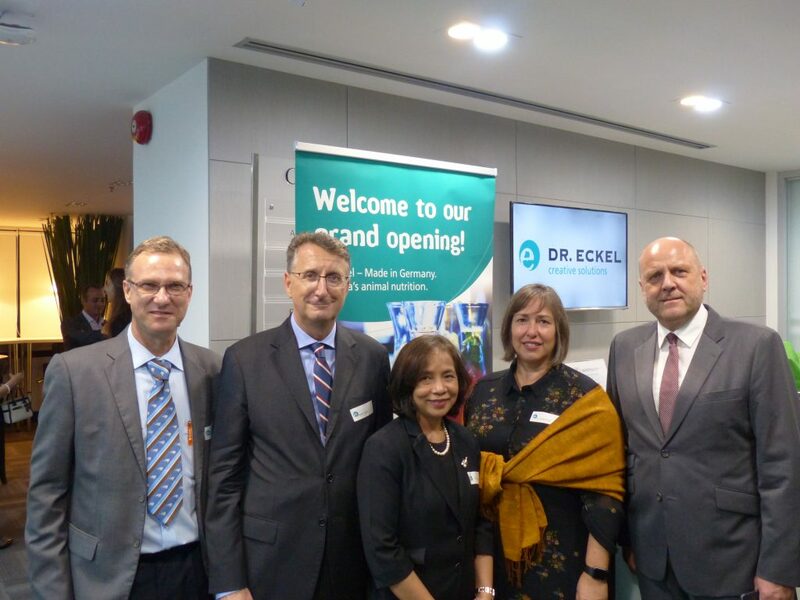 A dignified setting with prominent political, business and society guests in attendance: Dr. Eckel opened its international headquarters (IHQ) in Bangkok on 18 September. 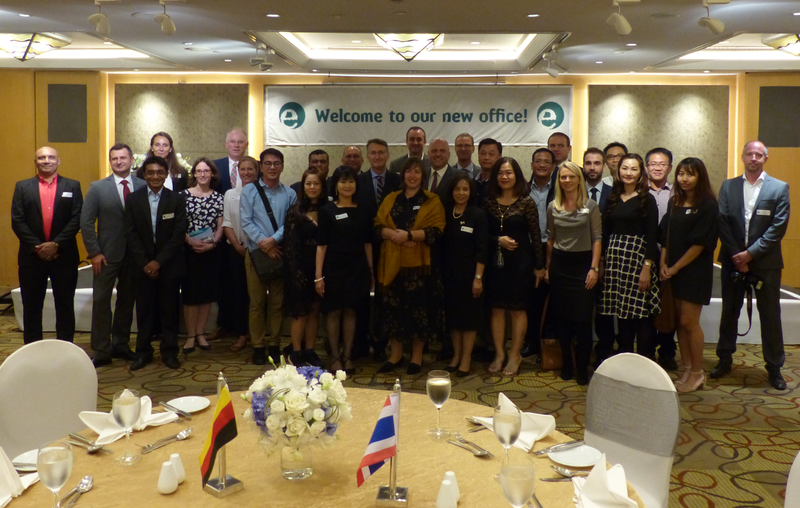 The feed-additive specialist celebrated the official company inauguration of Dr. Eckel Animal Nutrition (Thailand) Co., Ltd. and its move to the new offices. The business and political guests – notably the German ambassador Peter Prügel – were impressed by the company’s product and service portfolio, as well as its corporate objectives. “We are pleased that German companies are expanding globally, significantly shaping and successfully participating in the rapid developments in Asia, in agriculture, for example,” said Peter Prügel, German ambassador to Bangkok. The company will focus on the Asian markets. “Asia is becoming particularly important for our company, given the tremendous growth in animal nutrition,” explained Dr Antje Eckel. “We have served the Asian feed industry from a representative office in Bangkok for years, and now we will significantly increase our exposure through our IHQ and our German–Thai subsidiary. We appreciate the assistance of the Thai Board of Investment. We will invest our expertise and effort in developing the Asian market, which has significant growth potential,” the managing director added. Dr. Eckel already has close ties to many well-known animal-feed manufacturers and corporations in Asia. “We want to improve our local customer service and considerably intensify our consultancy efforts,” said director for Asia Dr Andreas Lewke, referring to the international growth strategy. “There’s an increase in demand for our animal-nutrition products, particularly our innovative products that combine efficiency and safety, and promote animal welfare,” added Lewke. This is a milestone in the progressive internationalisation of Dr. Eckel, established almost 25 years ago and one of the leading German experts in healthy, efficient and responsible animal nutrition.